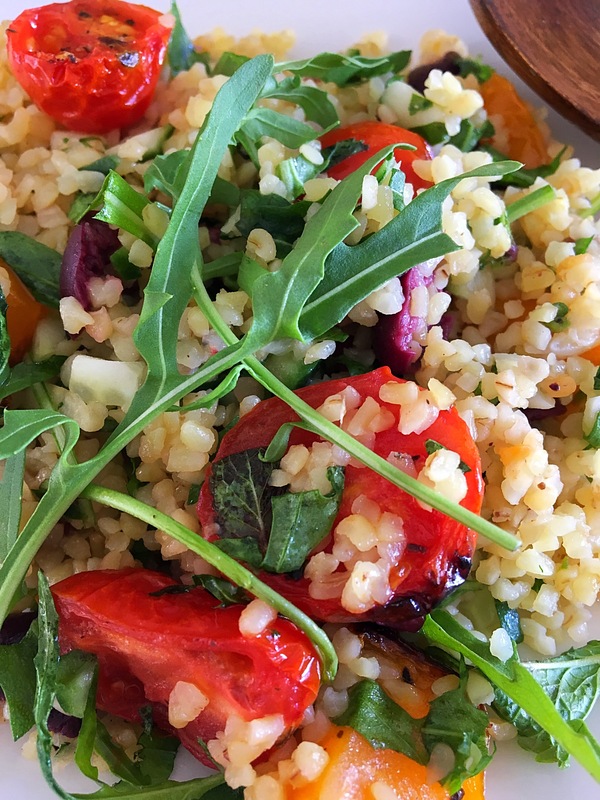 I have a mild obsession with bulgur wheat at the moment. It is deliciously nutty and has such a wonderful texture, not to mention the amazing health benefits. As a whole grain it is naturally high fiber, low fat and a low calorie food. 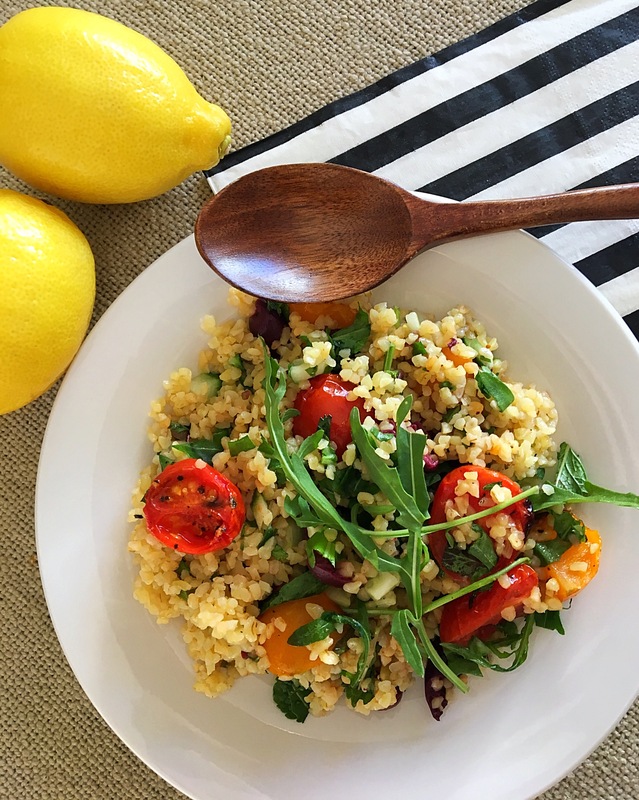 Bulgur hasn’t been stripped of its bran and germ, which are where many of the nutrients are actually stored within a whole grain. Therefore it is unrefined and an excellent source of fiber, protein and manganese. 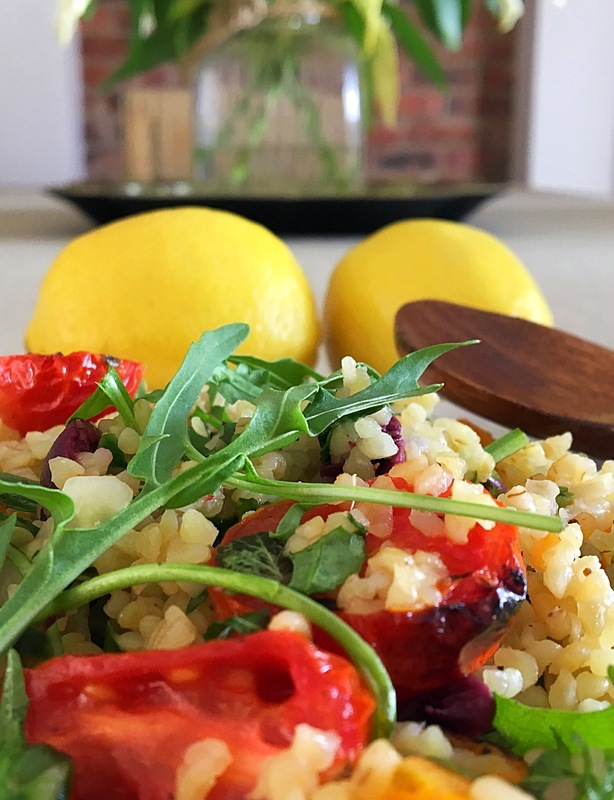 It is however not gluten free, having said that my sister who is mildly gluten intolerant can handle this bulgur salad with ease. 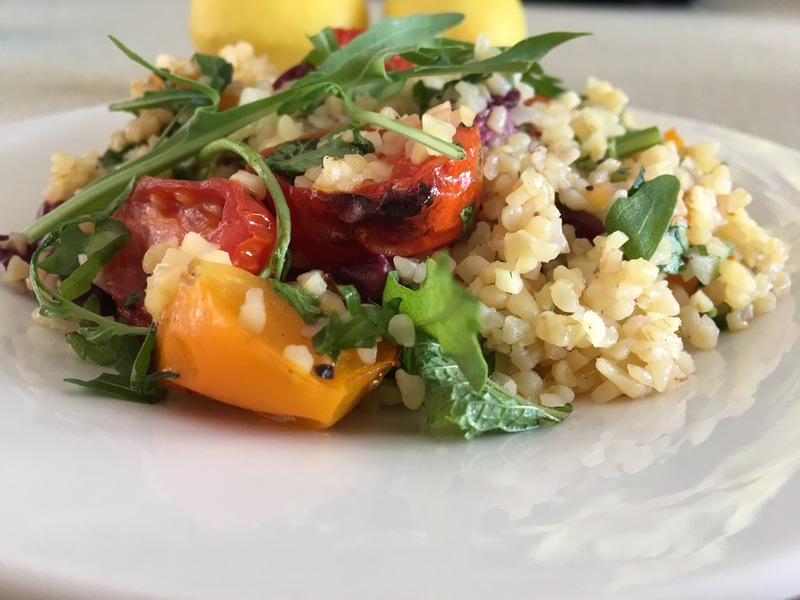 Bulgur wheat is extremely quick and easy to cook too. Boil the bulgur wheat in exactly two cups water, and the stock powder for 10 minutes or just until the water is absorbed. Take off the heat and stir through with a fork. Keep giving it a few stirs until cooled. At this stage don’t worry about it looking like the grains are stuck together, as it cools the grains will separate. Don’t overcook it, once the water is absorbed it’s cooked.